I’m not at all sure how I feel about this novel. Some moments it was very intense and I was utterly engrossed in the plot and at other times I felt a detachment from the story. I was mostly intrigued by Margaret’s story. Her thoughts of being invisible (because she’s 91 and not because she’s quiet by nature) were so very real and honest. We do tend to pass over older people and not see them – their past lives are equally valuable in the telling years later than ours are in the present. It’s odd, isn’t it? We will one day be old and likely the young will gloss over our existence. Why do we do this? Is it because we think they can’t remember or because we’re afraid to one day be in the same position. There are loads of memories out there without a venue for sharing them. Thankfully I lived half of my childhood with one of my grandmothers and she had an outlet for her natural warmth. To be alone and elderly would be so very lonely. Although I appreciated the exposure of these thoughts via Margaret I’m not sure I got all I could have done from her portion of the story. There was a lot more I wanted to know, the very least I wanted to know more about her parents, her siblings and her remaining family. Jennifer wasn’t very likeable and I kept hoping for more of her backstory. There was so much missing with her relationship with Tommy and Zoe that I didn’t connect with her. Although I appreciated her warmth for Milo there was too left out for me to relate to her. 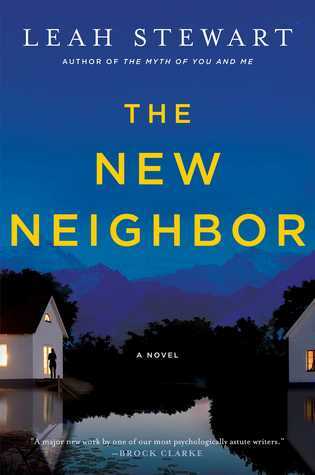 The New Neighbor was a strange novel for me because I finished it not really understanding what had happened. Hopefully that was just me because there were a lot of concepts and ideas in there that I found interesting.